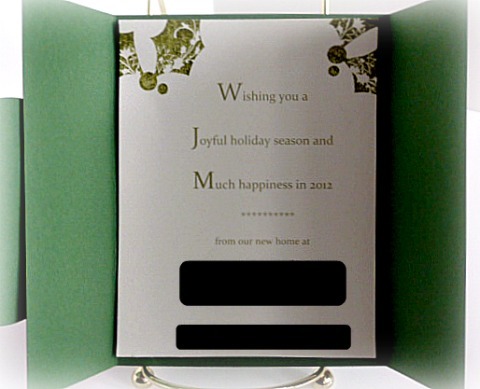 If you've moved recently, you've probably been contemplating sending out change-of-address notices with your holiday cards. My parents moved over the summer, so I came up with this design as a way for them to announce their new address. 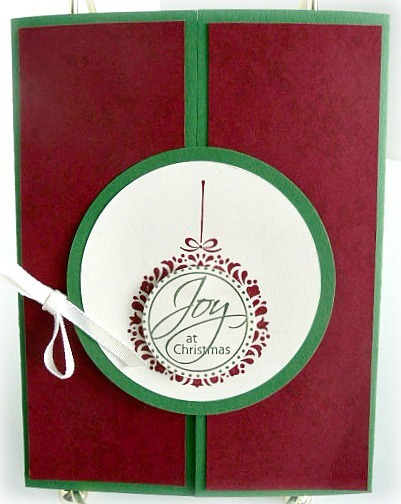 This is a great card to work on while your watching TV. There are several steps to make it, but you will be thrilled with the results. 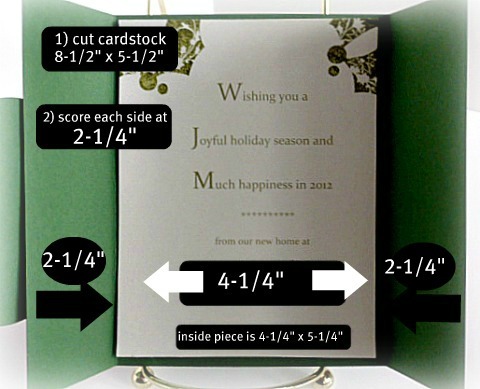 As long as you take it one step at a time, it's a pretty easy card to make! Here is a look at three slightly different variations. 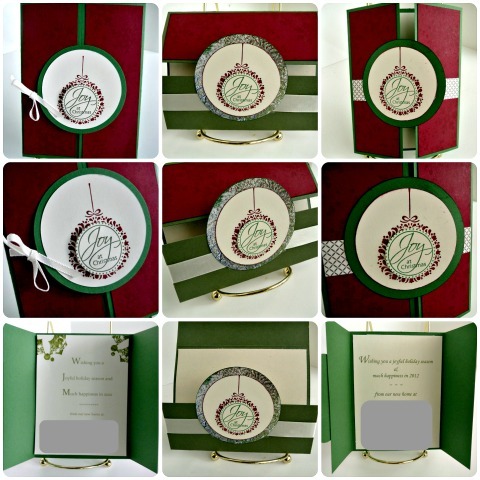 The first column shows a small satin bow tied on the side of the card; the second column shows a piece of satin ribbon wrapped around one of the panels and features a flip-down/flip-up card opening; the third column shows decorative paper as an accent piece. 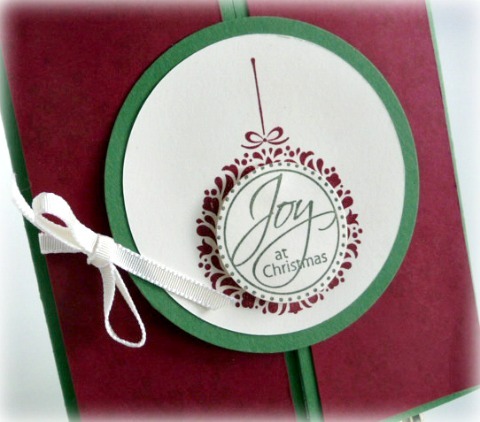 Today I will focus on the card in column one. 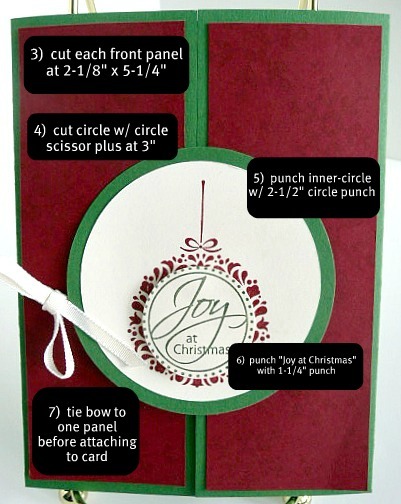 Come back tomorrow for the tutorial for the card in column two. It's even more fun to make than this one!